After sweet, salty is probably our favorite flavor. Yet for decades, health experts have warned us to watch our sodium intake. Too much salt is said to cause high blood pressure, the top risk factor in heart disease, kidney disease, and strokes. 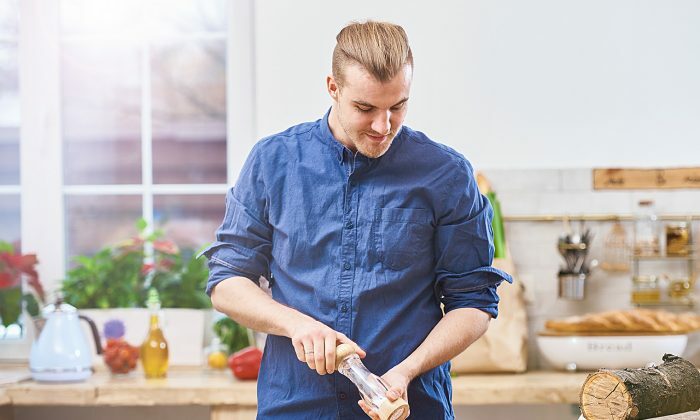 But according to Dr. James DiNicolantonio, author of “The Salt Fix: Why the Experts Got it All Wrong—and How Eating More Might Save Your Life,” many of us may actually be salt starved. For nearly a decade, DiNicolantonio, a cardiovascular research scientist at Saint Luke’s Mid America Heart Institute in Kansas City, has sifted through the history, research, and policy regarding salt and its impacts on our health. His new book paints a very different picture of salt than the one typically promoted in modern medicine. DiNicolantonio noticed the dangers of salt deficiency early in his medical career as a community pharmacist. Patients came in to pick up their prescriptions and complained of dizziness, dehydration, and a rapid heartbeat. All of them were on medications to lower their blood pressure, so in every case, doctors had also told them to restrict their salt. But their symptoms suggested signs of low sodium, so DiNicolantonio sent patients back to their doctors to get their levels tested. Blood Pressure: A Red Herring? In the ancient world, salt was sacred and valuable. It gave flavor to bland ingredients, helped to preserve food, and was even considered a medicine. Over the last century, attitudes toward salt have changed dramatically. Salt mostly consists of two essential minerals, sodium and chloride, but it’s the sodium that gets the side-eye. Our body requires sodium for many processes: fluid balance, cardiovascular function, transmission of nerve impulses, and muscle contraction. But because salt can also increase blood pressure, health experts urge us to consume as little as necessary. The USDA recommends consuming no more than one teaspoon of salt per day. Most Americans crave double that amount. The U.S. Food and Drug Administration recommends that we consume no more than 2,300 milligrams of sodium (about a teaspoon of salt) per day. Most people consume double this amount in their diet. But health experts argue that cutting our intake could save lives and money. According to the American Heart Association (AHA), if all Americans changed their intake to 1,500 milligrams of sodium per day, it could result in an estimated $26.2 billion in health care savings and reduce deaths from cardiovascular disease by almost 1.2 million over the next decade. These figures make a strong case, but something doesn’t add up. A number of studies show that the drop in blood pressure by virtue of less salt is quite small (from one to five points), and it’s a phenomenon that only affects a fraction of the population. Other studies show that low levels of salt consumption actually cause more damage than benefit. A Cochrane review (typically considered the gold standard in independent scientific analysis) of 185 randomized controlled sodium studies found that low-sodium interventions lowered blood pressure an average of one point for people without high blood pressure (5.5 points for people with hypertension) while significantly raising levels of kidney hormones, stress hormones, and triglycerides. DiNicolantonio says that the mortality risks of high levels of sodium are actually much lower than that of low levels. But experts are so focused on the blood pressure lowering effect of minimal sodium that they ignore the damage it inflicts on the body when it gets too little: increased heart rate, hypothyroidism, elevated insulin levels, and insulin resistance. 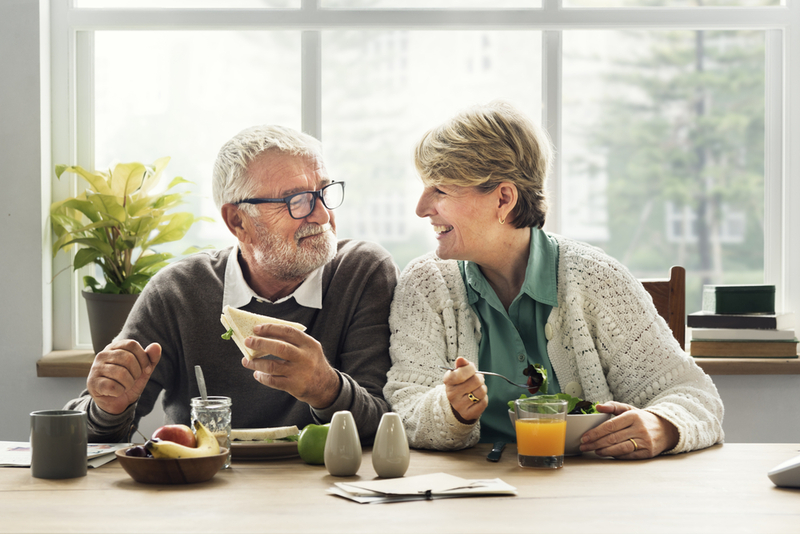 A lack of salt has also been shown to increase artery-stiffening hormones—the same hormones that medications designed to prevent strokes and heart attacks are used to block. Further studies reveal that a low salt diet may reduce a woman’s chances of becoming pregnant and increase the likelihood of miscarriage, infant mortality, and preeclampsia. “Somehow they’ve gotten away with sweeping those harms under the rug,” said DiNicolantonio. Health experts use a simple story to illustrate salt’s damage: More salt makes us thirsty, so we drink more water. This causes the body to hold that extra water in order to dilute the saltiness of the blood. The resulting increase in blood volume leads to higher blood pressure. But a critical detail missing from this illustration is that for most of us, our bodies can effectively manage this salt/fluid balance, even if we consume large amounts of sodium. However, all bodies will run into problems when our salt level is too low. Since the medical establishment recommends we consume the minimum amount of sodium necessary for survival, many people may be inadvertently hurting their health, says DiNicolantonio. Sodium helps manage hydration by controlling the movement of water in and out of our cells. When we’re dehydrated, the sodium in the blood increases because it has to work harder to pull water out of the cells and into the blood where it’s needed. That’s why highly concentrated sodium in the blood is almost always a sign of dehydration. It is also why you need more salt when you exercise. One hour of vigorous activity can cause us to lose 1,500 milligrams of sodium—the amount some experts suggest we should consume for an entire day. People healing from burns, trauma, and hemorrhages may require even more salt. Research shows that salt needs also increase when one is pregnant or nursing, fighting infections, suffering from inflammatory bowel disease, and more. Only about 5 percent of our salt intake comes from the shaker—most comes from the prepared foods we eat. Food manufacturers have always loved salt because it provides flavor and prevents spoilage. Before refrigeration, salt was our main food preservative because it protected against unhealthy pathogens, while allowing healthy bacteria to proliferate. Cheese, pickles, and sauerkraut—and all the lacto-fermented foods that researchers now say are so beneficial for our microbiome—are traditionally made with large quantities of salt. Our ancestors ate a lot more fermented foods, so they likely ate a lot more sodium. In ancient Rome, where nearly every major city was built near a salt source, the average Roman consumed about three times the salt we do today. In 17th-century Sweden, the average intake of salt was up to 10 times more than today, thanks to all that salted cod. More than a flavoring, salt has been used medicinally and as a preservative throughout history. Today, health organizations pressure governments, restaurants, and food manufacturers to lower the sodium in prepared foods, but this advice may have unintended consequences. Lower salt intake can actually encourage bacterial overgrowth, increasing the risk of foodborne illness. And since salt is the most natural and longest tested food preservative, any chemical substitute is likely to be more harmful. Salt also provides food with a touch of sweetness because it cuts the bitterness. So food manufacturers inevitably have to add more sugar (or flavor-enhancing chemicals) to low-salt foods in order to make them taste good. Less salt may also cause us to eat more in order to satisfy our sodium needs. Most people generally seek between 8 and 10 grams of salt (about 2 teaspoons) per day, says DiNicolantonio, so eating low-salt foods may prompt us to eat much more to satisfy our bodies’ needs. “We’re over-consuming refined carbs, over-consuming sugar, and that’s obviously going to drive diabetes and obesity,” he said. While health officials have pushed for decades to limit our salt intake, they’ve been extremely slow to take note of sugar. That’s strange, because if improving our health is the goal, sugar poses many more problems to take issue with. For one, while your health suffers if you don’t get enough salt, it will probably improve if you remove added sugar. Calories from sugar are especially detrimental when it comes to weight management. That’s in large part because increased sugar intake stimulates more insulin resistance and fat storage than other types of calories. Whereas our taste for salt stays fairly constant, our taste for sugar escalates, like in any other addiction. For decades, studies have also implicated sugar on the very symptoms for which salt takes blame—high blood pressure, kidney disease, and heart disease—but the details have only recently begun to emerge. The November 2016 issue of JAMA reports that researchers already saw signs that sugar led to coronary artery disease in the 1950s. But in the decades that followed, the sugar industry sponsored a Harvard research program that successfully cast doubt on the hazards of sugar while promoting fat as the cause of the disease. DiNicolantonio says that the demonization of salt happened in a similar fashion. Whereas our taste for salt stays fairly constant, our taste for sugar escalates like in any other addiction. This wasn’t a problem in the past, because our sources of sweetness (primarily fruit) were harder to come by and were conveniently packaged with water, fiber, and phytonutrients. Today, with mass production of refined sugar, we eat about 30 times as much sugar as our ancestors did. A growing body of research reveals that all this sugar is at the heart of our modern chronic disease epidemic. Although the medical establishment suggests that the verdict on sodium restriction is a settled science, doctors and researchers have been railing against low-salt recommendations since the correlation between sodium consumption and elevated blood pressure was first proposed over a century ago. “Some people really want to hang on to this belief system on salt. But they are ignoring the evidence,” Oparil said. An analysis of salt studies involving more than 130,000 people from 49 countries published in the July 30, 2016 edition of the Lancet found an association between low-sodium intake and “increased risk of cardiovascular events and death” in people with or without hypertension. Since a low-salt diet was found to only have a modest effect on blood pressure, study authors concluded that sodium restriction was “best targeted at populations with hypertension who consume high-sodium diets,” not as a blanket restriction that applies to everybody. “The key question is not whether blood pressure is lower with very low salt intake. Instead, it is whether it improves health,” Mente said. Sounds convincing, but those low sodium recommendations are still far from proven, says DiNicolantonio. Table salt provides sodium and chloride, but there are unhealthful byproducts that come along with it. Modern salt is bleached to make it bright white, has a bit of added sugar, and also contains anti-caking agents to allow for a free flow from the shaker. 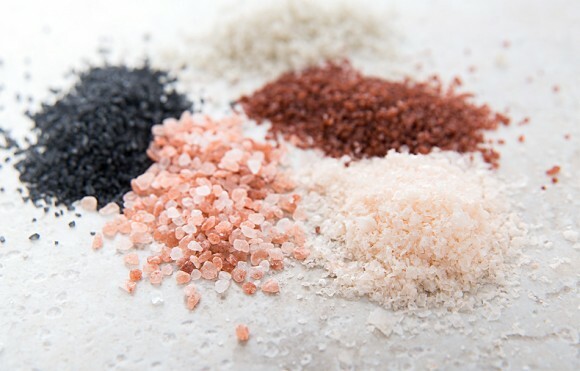 Celtic sea, Himalayan pink, Hawaiian black, and other artisan salts have come to market in recent years to offer consumers a more natural product. But even some of these pricier, unrefined salts may also contain unwanted additions, such as radioactive elements, ocean pollution, and microplastics. Some of these fancy salts also lack iodine, and other essential minerals that we otherwise lack in our diet. To minimize contamination, DiNicolantonio advises consumers to choose a salt harvested from an ancient, dried up body of water, rather than a modern ocean. His top pick is Redmond Real Salt. It comes from an ancient lake in Utah, is much less expensive than a lot of the unrefined sea salts on the market, has much less contamination, and contains a good amount of iodine and calcium.